Shiseido Ibuki Multi Solution Gel is a targeted treatment for skin emergencies and longer term difficulties such as breakouts, dryness, uneven texture and can improve the appearance of enlarged pores. What, you might ask do I need with this treatment if I have dry skin that doesn't break out? Well... 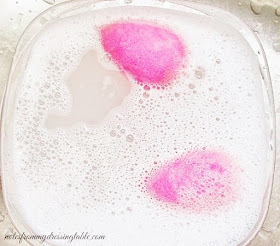 I have some bumpy, uneven texture in a few spots and I am treating them with this product and it's beginning to have a positive effect without wreaking havoc on my skin. All I have to do is pick up a little of this bouncy, lime-y green gel from the beautiful, pearly/silvery little jar on my finger (a tiny bit goes a long way!) and pat and smooth it into the areas I wish to treat. I use it in the dip between my lower lip and chin, on the skin behind my ears and the backs of my ears and on my eye lids, above my orbital bone. I don't know if this treatment is "approved" for use near the eyes but I'm careful not to get it in my eyes and it's fine. I don't experience any adverse reactions or sensitivity. I have been using this for a while, now and I'm noticing some improvement in the areas that I treat. The most dramatic change is the backs of my ears and the skin behind them... I don't know why that area gets so bumpy... Leave in conditioners and so on? I wear my hair up almost all of the time and I'm not a manky skank; I wash... So who knows. Just one of the mysteries of life and having skin, I guess. The other spots are taking a bit more time but I'm patient and I am seeing some improvement so it's all good. I'm happy to keep on keeping on. Active Ingredient: Salicylic Acid 0.5%; Inactive Ingredients: Water, Butylene Glycol, Sd Alcohol 40-B, Dimethicone, Peg/Ppg-14/7 Dimethyl Ether, Peg-240/Hdi Copolymer Bis-Decyltetradeceth-20 Ether, Glycyl Glycine, Peg-60 Hydrogenated Castor Oil, Silica, Trehalose, Sodium Chloride, Gellan Gum, Dipotassium Glycyrrhizate, Serine, Polyquaternium-51, Paeonia Suffruticosa Root Extract, Aesculus Hippocastanum (Horse Chestnut) Seed Extract, Hydrogenated Lecithin, Potassium Hydroxide, Disodium Edta, Sodium Citrate, Acrylates/C10-30 Alkyl Acrylate Crosspolymer, Alcohol, Citric Acid, Glycerin, Bht, Peg-30 Soy Sterol, Trisodium Edta, Phenoxyethanol, Fragrance, Yellow 5, Blue 1. I like this treatment. It is gentle, effective and it does what it says it will do and bonus! it doesn't further dry out my already Sahara Desert dry skin. 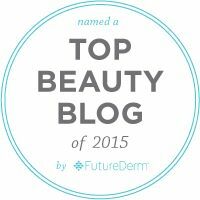 If you have any skin condition concerns, such as breakouts, pores, uneven texture... 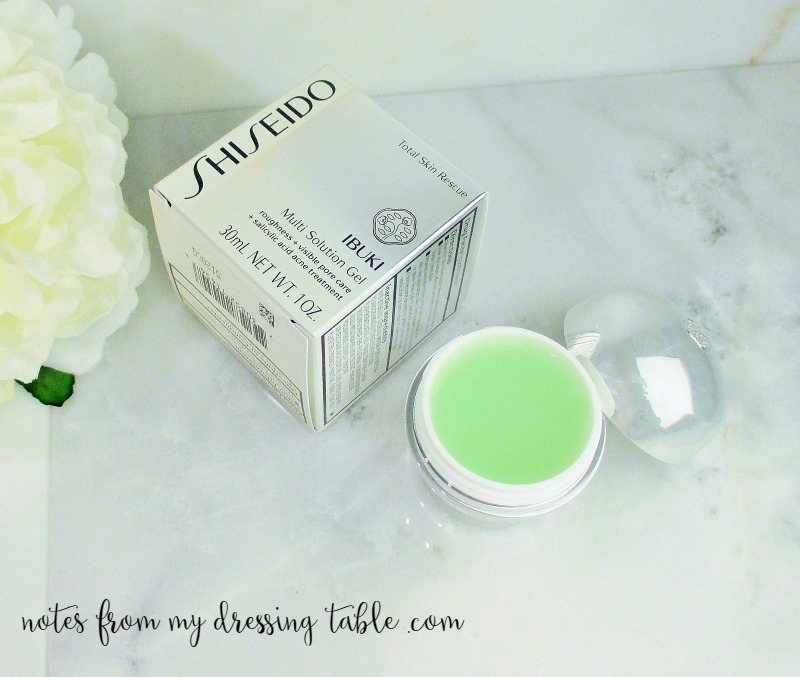 The Shiseido Ibuki Multi Solution Gel may be just what you're looking for! This little jar of goodness retails for $38.00 and is available not only from Shiseido, directly, you can find it at Sephora, Nordstrom, Lord & Taylor and wherever else you find Shiseido products. Have you tried this little pot of lime-green love? What do you think of it? Is it working for you? Not only do I love this treatment, I am a huge fan of the Ultimune Power Infusing Concentrate and I adore the Facial Cotton. I'm a little spoiled, it's all I want to use on my face. I justify the expense with Beauty Blogger Math and only using it on my face. I am so impressed with the products from this line that I have tried, so far and I would love, one day to be able to give their skin care for dry skin and their cosmetics a whirl! 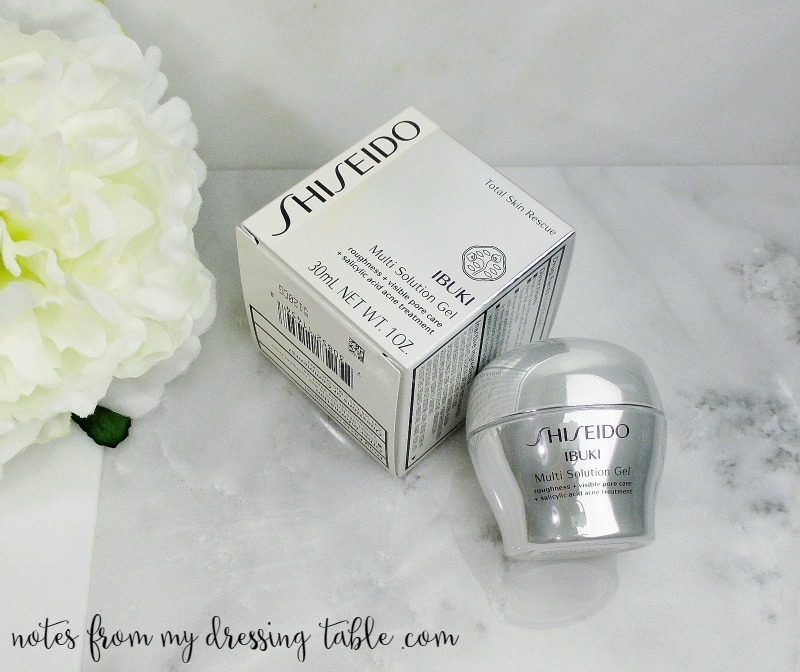 If the Shiseido Ibuki Multi Solution Gel sounds like something that you would like to try, why not enter my giveaway? The winner will receive a brand new, unopened jar and an adorable little red satin pouch with a wrist strap provided by Shiseido. I have a habit of tossing little surprises in my giveaway packages so... You never know what else may show up on your doorstep. The rules are simple. This giveaway is going to run from 1/4/16 at 11:59 MST to 1/31/16 at 11:59 MST. Use the Rafflecopter widget, below to enter. Entries submitted in any other fashion will be voided and the entrant disqualified. Failure to follow all rules will result in disqualification. After I draw a winner, I will notify them by e-mail and they will have 48 hours from the time I hit send to respond to me with their contact info or a new winner will be drawn. This giveaway is open internationally, to anyone who lives where I can legally send a package. You must be 18 years or older or of legal age where you live or have permission from your parent or legal guardian to give me your contact information, including e-mail and mailing addresses. Any taxes and or customs fees are the sole responsibility of the winner. This is a one off prize. Once it leaves my hands at the Post Office, it is at the mercy of the mail gods. If it arrives damaged, leaks or doesn't show up, no replacement or substitution will be offered. No cash substitution is offered or implied. Void where prohibited by law. The more entries you complete, the better your chance to win and have the opportunity to try this lovely skin care product!